How Do I Deal with My Prof Who Hates Christianity? I’m taking a class on the history of Antisemitism, but it has turned into the history of why Christians are the most terrible people on the earth. Can you help me refute my teacher? A few points I need to know about are: Why did the gospel writers present a central conflict between the Pharisees and Jesus? Why was such a conflict extremely unlikely? What would a Christian historian say about this? How can I argue with an overly zealous antichristian? She thinks the New Testament is completely false, only made up to morph Jesus into the Messiah the gospel writers wanted him to be, so I need evidence outside of the NT. I have read Case for Christ, which is awesome, but there’s still a lot of stuff from there that doesn’t help because she says the NT is false; the evidence that it was written in too short of a time for legend to creep in is false to her. Please help me with this problem. As for the other questions you ask, they can be somewhat involved. For this reason, let me recommend some additional resources that will be helpful to you for future opportunities of this kind. • F.F. Bruce, Jesus and Christian Origins Outside the New Testament (Grand Rapids, Michigan: Eerdmans Publishing Co., 1974). • Gary Habermas, The Historical Jesus: Ancient Evidence for the Life of Christ (Joplin, Missouri: College Press Publishing Company, 1996). • Craig Blomberg, The Historical Reliability of the Gospels (Downers Grove, Illinois: Inter-Varsity Press, 1987). 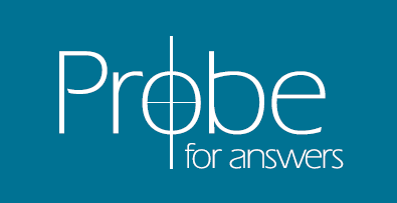 If you look under Probe’s “Theology and Philosophy” section and our “Reasons to Believe” (Apologetics) section you can find many other helpful articles. Also, bible.org has a number of excellent resources on their site. Articles on the Bible can be found at http://www.bible.org/topic.asp?topic_id=5 and articles on Christology can be found at http://www.bible.org/topic.asp?topic_id=6. Finally, I have written a very short article dealing with some of the available evidence from Tacitus, Pliny the Younger, Josephus, the Babylonian Talmud, and Lucian which you can find at: www.probe.org/ancient-evidence-for-jesus-from-non-christian-sources-2/. My article is just a summary, written at a popular level for radio, and I don’t know if you would find it helpful or not. "How Can You Be Pro-Life and For the Death Penalty? Isn't That Judging? ""When Is It Wrong to Have Lust For Your Spouse?"